Did you know that Dowco pre-orders all of our annuals in February to be custom-grown just for our clients? By ordering them early we ensure we get the best selection of robust plants in the exact color or variety you desire. We got our first delivery in on May 8th and will be installing flowers all month long! 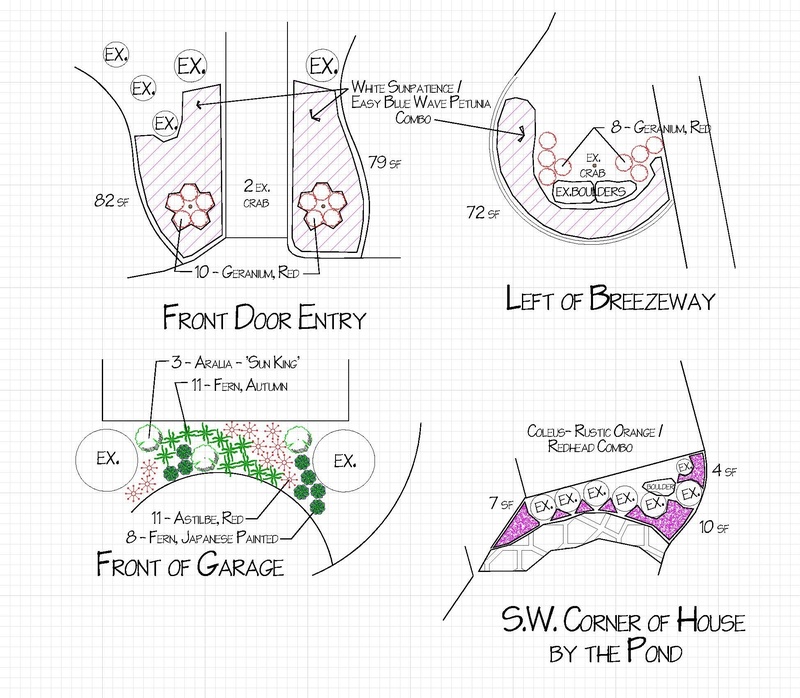 But even if you missed it, there's still time to get a design from our horticulturists. We have pre-selected signature containers that will fit any budget, or we can design something custom for your unique space. We're approaching the time to begin tidying up the growth on trees and shrubs. Some of our clients enjoy tightly-trimmed shrubs while others prefer them to have more texture. When talking with your Dowco representative, it’s important to communicate your sense of “landscape style”. Do you prefer a formal or a natural garden? Do you like your Boxwoods in a hedge or individualized? A good pruning strategy will develop trees and shrubs that are healthy, strong, and gorgeous! There are a lot of holidays coming up like prom, graduation, Memorial Day, 4th of July, and more! If you have special timing requests, please let us know ASAP by using our client request center. We love to help you impress your friends and family! Everyone knows that there is a not-so-small flood happening in our area. We wanted to take the time to update you on how this will impact your services throughout the remainder of this week, as well as give you some information from our horticulturists on how this will impact your landscape overall. As of last night, all of the routes to access accounts on the south side of highway 44 have been shut down and will most likely remain shut down for the rest of the week. This mainly includes the following towns: Eureka, Glencoe, Fenton, and parts of Sunset Hills. If you live in one of these areas, unfortunately we will not be able to access your property for services until the roads are back open. All other areas will continue services as normal. In addition to the flood, we are also forecasted for 2 more days of rain this week. We ask for your patience and please know that we are doing everything in our power to make sure your property is serviced. What does all of this rain mean to your lawn and landscape? 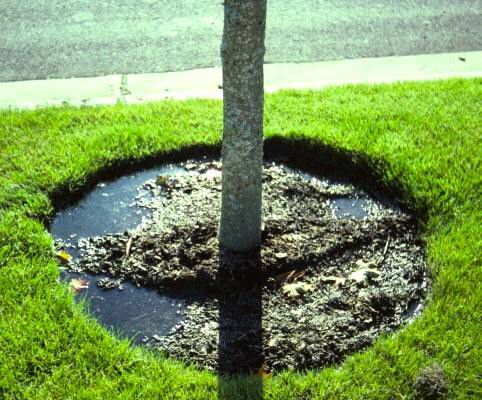 Most trees, shrubs, and turf should be fine as long as standing water does not persist for over a week or two. The most important thing is for the roots to continue to get oxygen. If this oxygen supply is cut-off for a long period of time, plants may experience root rot. Symptoms of root rot include: yellow/white leaves, slimy brown roots, wilting, and rapid leaf drop. If you notice any of your plants showing signs of root rot, you can call our Dowco office and schedule a site visit with one of our horticulturists. The best thing you can do to help your lawn recover from a flood is to core aerate. This is done in the early fall and allows oxygen to get back into the roots of the grass. Looking into the forecast this week, we are expecting more rain. This is why you may see us out earlier than normal for mowing to try to get ahead of it. Although the sun is shining, we are considering this another rain day. The machines we use would be too heavy and sink into saturated lawns. We plan to put a full court press on mowing and lawn care and we will be working this weekend. 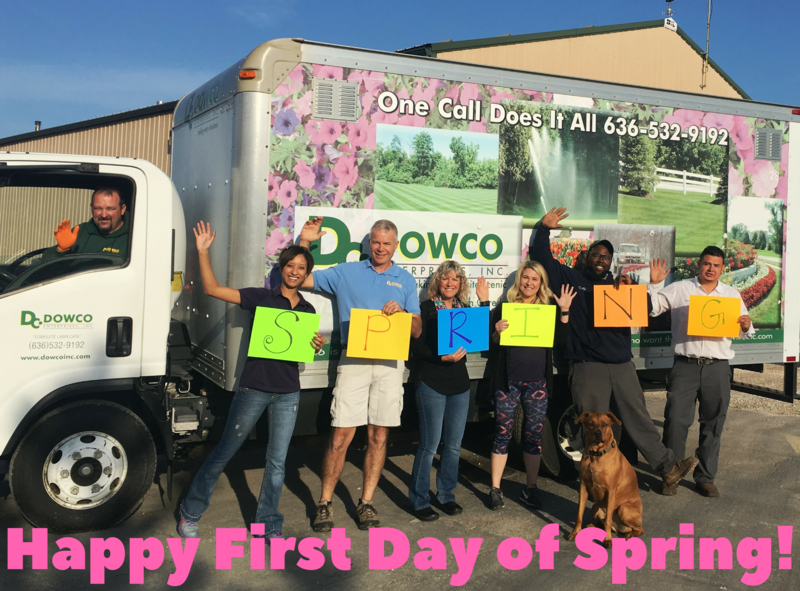 Here at Dowco, we are passionate about creating beautiful, green lawns for St. Louis. 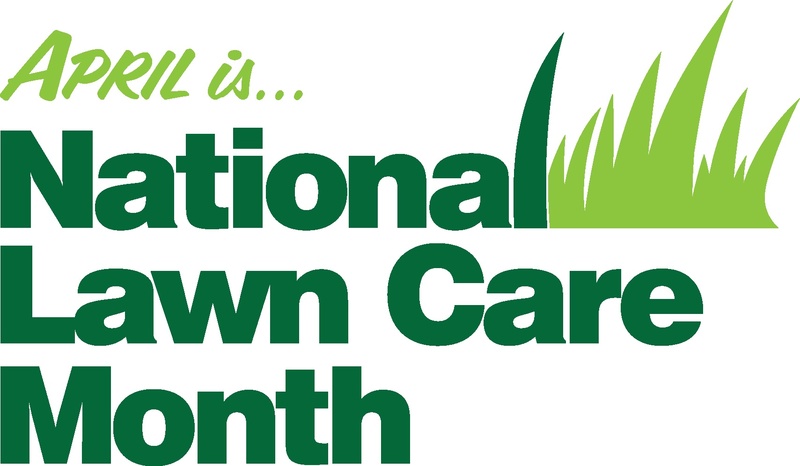 For many years, the landscape industry has celebrated National Lawn Care Month in April. Now that spring is beginning, there is no better time to get started on developing the perfect lawn this season! We hope you're staying dry! Last week we started mowing all of our residential properties. If you haven't seen us yet, it's because we're delayed from rain, and the forecast this week shows more spring showers. 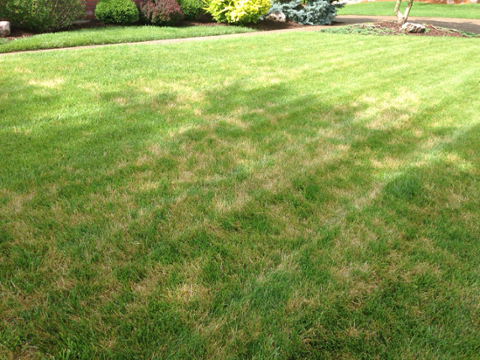 Our goal is to ensure top quality work, in a timely fashion, without damaging your lawn. 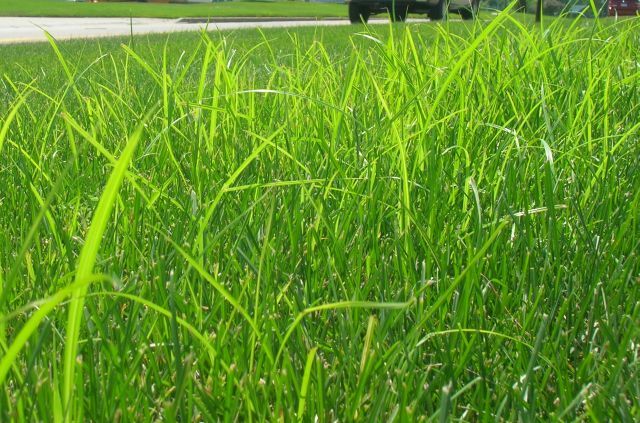 Keep in mind that during the wet spring, your mow day will fluctuate. It will become more regular as we head into summer! Fertilization round 1 will be completed on all properties by April 8th. The last 2 weeks we've been preparing for lawn mowing. A few of our crew members are learning these skills for the first time, while many others are sharpening up their techniques before we hit our client's properties. Last week we worked on the fundamentals - fueling, starting, handling, and safety. 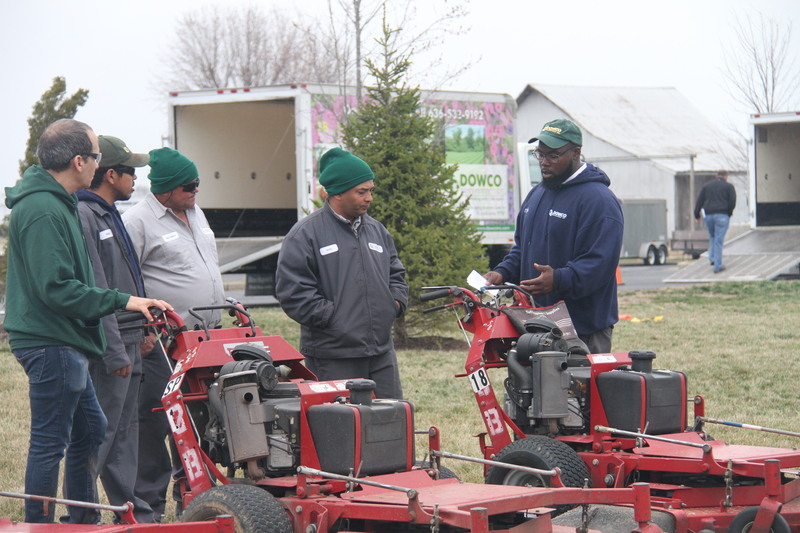 This morning, the trainers on our team TJ Rau, Maurice Dowell, Ricky R Davis, Francisco Escobar and John Drago put together an amazing Mow Training Boot Camp! 17 crew members tackled 4 stations to practice on 2 different types of mowers, edging, weeding, blowing and trimming. Can you believe the warm weather we've had in February? 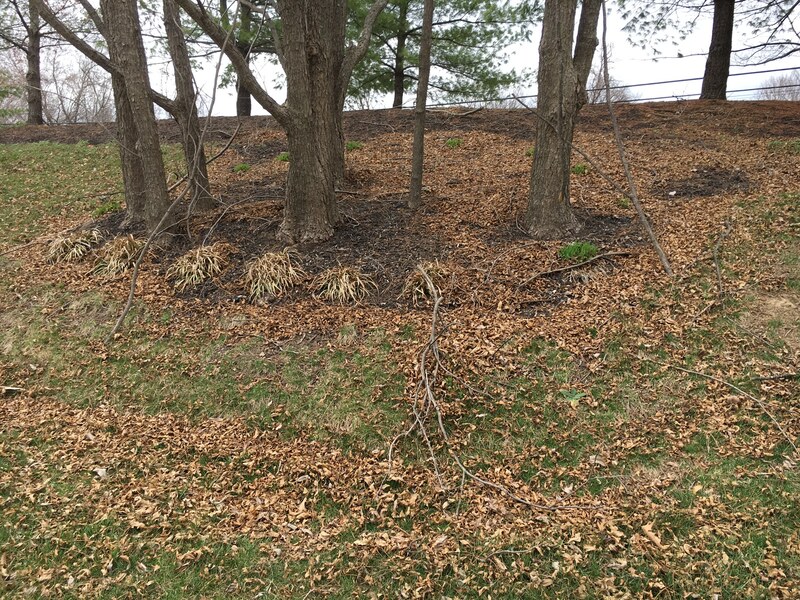 While you may see the Forsythia blooming already, the soil temperatures are still between 45-55 degrees, therefore Crabgrass is not yet germinating. 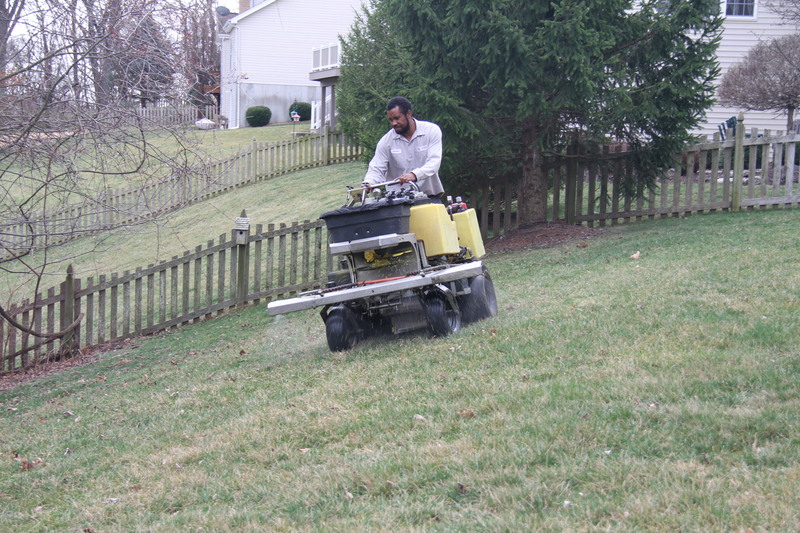 Our fertilization program is underway and both rounds 1 and 2 contain a crabgrass pre-emergent. We predict that we will be mowing very soon!